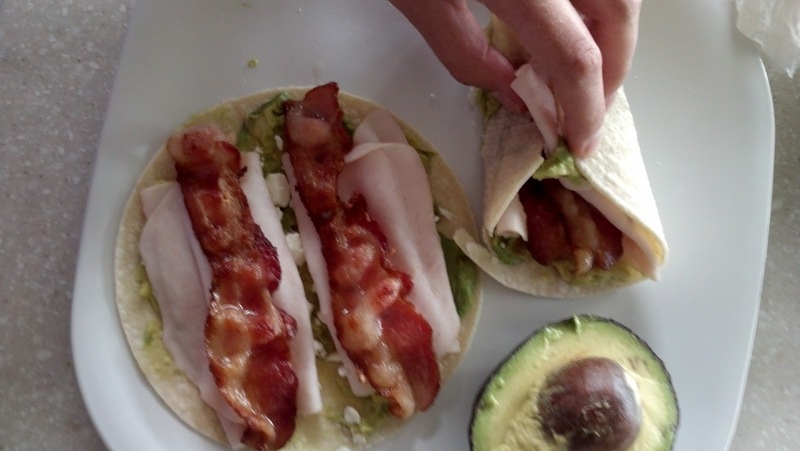 Hunter and I had a bacon craving (which shouldn't surprise anyone who knows us... these cravings come pretty regularly;) so we took up the challenge to make something delicious and mostly healthy for lunch. Hunter made his with just cream cheese and turkey, but I made mine with avocado, goat cheese, turkey, and corn tortillas. It was sooo good! Hope your Tuesday is grand; full of victories in the Lord, and full of small things that make you smile!